This postcard is a montage which uses a touched up photograph: the background, where the main courtyard is recognisable with part of one of the planes displayed, was lightened to make the shell and the soldier stand out. 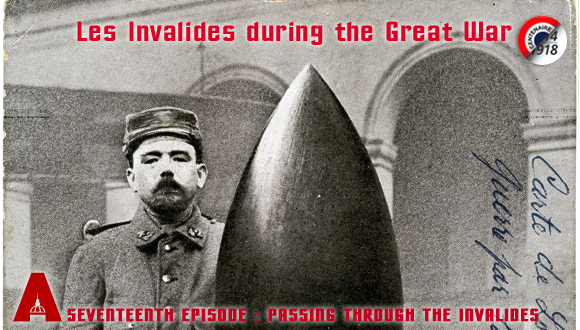 At least seven different French postcards showing this shell in the courtyard were circulated during the First World War (see the panel entitled «Big Bertha»). 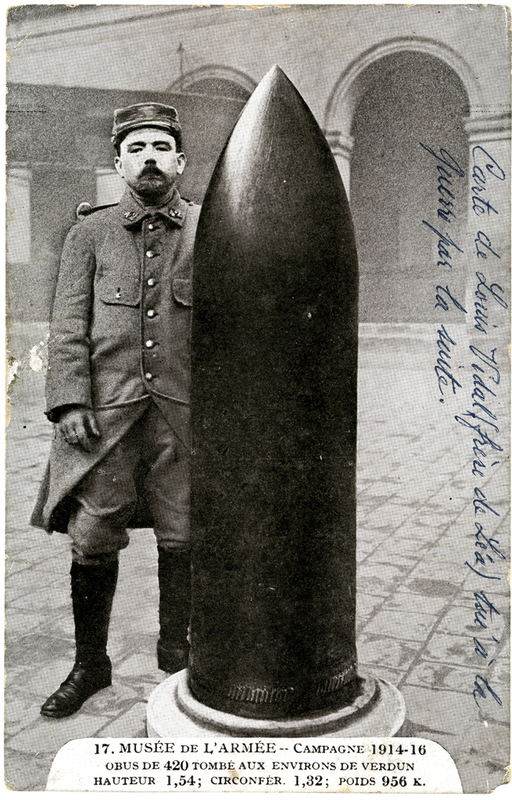 The juxtaposition of the French soldier and the 420 mm shell emphasises the latter’s enormous size. The caption states: 17. Musée de l’Armée –1914-16 campaign, which proves that this model of card was produced before 1917. «17 July 1916. Mr and Mrs Giraudier. Louis Vidal came from the French region of Ardèche. In the middle of the Battle of the Somme, his unit distinguished itself by its bravery and was awarded the Croix de Guerre. As a reward, he and his battalion comrades were sent to Paris for the parade on 14 July 1917. Making the most of a few hours of freedom, Louis visited Paris and particularly the Hôtel des Invalides where he bought this postcard on which is both the stamp of the Société des Amis du Musée de l’Armée (Association of Friends of the Army Museum) and that of the Société de Secours aux Blessés Militaires (Association for Assistance for the War Wounded). 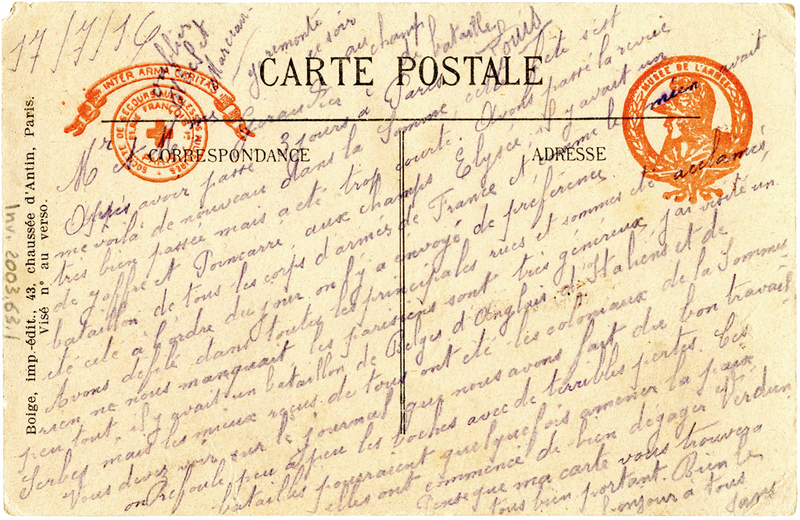 Louis sent this postcard to his former primary teacher, Élise Giraudier, living in Ardèche in the hamlet of Oubreyts. He mentioned Abel and Marceau, both prisoners in Germany. Marceau was Élise’s son. 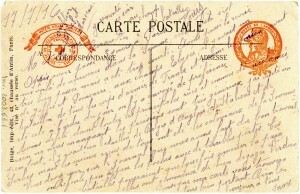 The note, «Card from Louis Vidal (brother of Léa) afterwards killed in the war», on the front of the card, was added much later by Élise’s nephew, René Giraudier, himself a primary teacher in Ardèche.